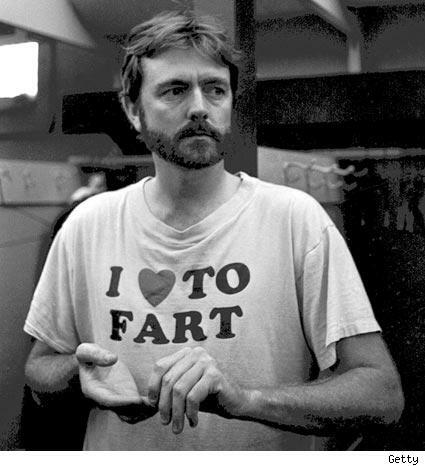 A lot of people think Bert Blyleven should be in the hall of fame and I agree. They think he should be there for his 287 wins, 3,701 strikeouts and two World Series rings. I also agree. But there’s another reason many overlook: 1986 and the magic number, 50. 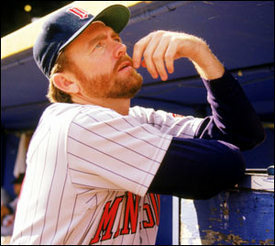 In 1986, Bert Blyleven set a major league record that still stands after the steroid and juiced-ball era. In 1986, Blyleven allowed 50 home runs and what’s even more impressive is he had a great year. The Flying Dutchman proved how worthless the home run can be in 1986 by having a great year while setting a record most pitchers wouldn’t want. Like Bob Uecker and his lifetime .200 batting average, I don’t think Blyleven has a problem owning this single-season mark. The 1986 Twins were not good. They finished the AL West race in sixth place with a 71-91 mark. Manager Ray Miller was fired with 23 games to go and replaced with third-base coach, Tom Kelly. The few bright spots of the ’86 squad were Kent Hrbek (.353 OBP, 29 HR, 91 RBI), Gary Gaetti (.518 SLG, 34 HR, 108 RBI) and Kirby Puckett (.328 AVG, .537 SLG, 31 HR, 96 RBI, 119 R, 20 SB). As for the pitching staff, it was pretty sad aside from Blyleven and a few others (Keith Atherton, Neal Heaton and Roy Lee Jackson were the only pitchers with a sub-4.00 ERA). At the age of 35, the Twins helped Blyleven to a 17-14 record and a 4.01 ERA. Before the 1986 season began, Robin Roberts held the single-season record for most home runs allowed at 46 from his 1956 season. Roberts was 19-18 with a 4.45 ERA for the Phillies in ’56, an off year for a man with a career 3.41 ERA. Up until this season, Roberts held the all-time home run mark until Jamie Moyer allowed his 506th home run of his career. Many have attempted to pass Blyleven’s record, but most of them are because of poor performance and the misfortune of pitching during a hitter’s era. Ten players have allowed 40 or more home runs since 1986 and only two had, what I consider, a good season: Ramon Ortiz in 2002 and Blyleven in 1987. Just behind Blyleven’s 50 dingers in ’86 on the list is Jose Lima, who gave up 48 in 2000. Lima followed his 21-win 1999 performance with a 7-16 mark and a 6.65 ERA for the Astros. It only took Lima less than 197 innings pitched to reach 48 home runs. His WHIP was 1.62. Blyleven was able to scatter his 50 home runs over 271 innings and keep his WHIP at a very respectable 1.18. He completed 16 of his 36 games started, tossed three shutouts and struck out 215 while walking only 58. Not only did Blyleven lead the league in innings pitched and home runs allowed, but he also had the top strikeout/walk ratio at 3.71. Of Blyleven's 96 home runs given up in 1986 and 1987, 61 were solo shots. “Of the 96 homers I gave up in 1986 and 1987, something like 80 were solo shots,” Blyleven said, according to baseballanalysts.com. Bert doesn’t quite have his numbers right on, but he’s not far off. Of the 96 home runs over the two seasons, 61 of them were solo shots. Of the 50 home runs allowed in 1986, 27 were solo dingers while 18 were two-run bombs. Blyleven gave up only three three-run homers and two grand slams. Blyleven can thank Ron Kittle of the White Sox for helping him reach the 50 mark. On consecutive starts in June, Kittle smashed two home runs off Blyleven in each game. In the June 18 matchup, the Twins went on to win 10-9 in 10 innings with the win going to Ron Davis while in the June 23 game Chicago stomped Minnesota 11-2. The Brewers’ Ben Oglivie knocked three round trippers off Blyleven that season, two during a May 23 8-7 Twins win at the Metrodome. Six other player went yard on Bert twice during the season: Don Mattingly, Reggie Jackson, George Bell, Johnny Grubb, Doug DeCinces and Darrell Porter. Blyleven would have an almost identical season in 1987 with the same ERA (4.01) and a 15-12 mark with 46 home runs allowed. Of course, the Twins were World Series champs that season. It just took a year for the rest of the team to catch up with Blyleven. Will anyone ever break this record? Possibly, but if so, it will be from poor performance. Starting pitchers rarely approach 250 innings pitched a year anymore and those who do are usually at the top of their game. Home run numbers have been down lately, dropping the chances ever further. Does Bert deserve a spot in the hall of fame? Of course, but it’s not just for those 287 wins and 3,701 strikeouts. He also knew how to spread out the negative of his game and remain consistent, no matter how far those hanging curveballs landed in the stands. My favorite photo of Bert. on August 24, 2010 at 9:34 am | Reply You know damn well who this is!!! Okay, because I’m a dork on lunch break… Bert threw complete game losses in which he gave up 3 or fewer earned runs 13 times during 1973, 1985 and 1986. (Why did I check those years, you might ask? Don’t ask.) I’d recommend that all the folks wrapped around the 300-win axle should find their way over to baseball-reference and poke around. It’s good to know I’m not the only baseball dork out there. Good work.